Colorado Springs is home to Pikes Peak, one of the most famous mountains in the country. In fact, it is the second most-visited peak in the world after Japan’s Mount Fuji, and the views are so breathtaking that Katharine Lee Bates was inspired to pen the words to “America the Beautiful” after a trip to the summit. More than 1 million people navigate the twists and turns of the winding Pikes Peak Highway to see the spectacular panoramas each year. In addition to experiencing the perfection of America’s Mountain, hikers can trek to the top of these five lesser-known mountaintops. This alpine peak showcases a gentle summit that’s reachable via a 6.5-mile hike. 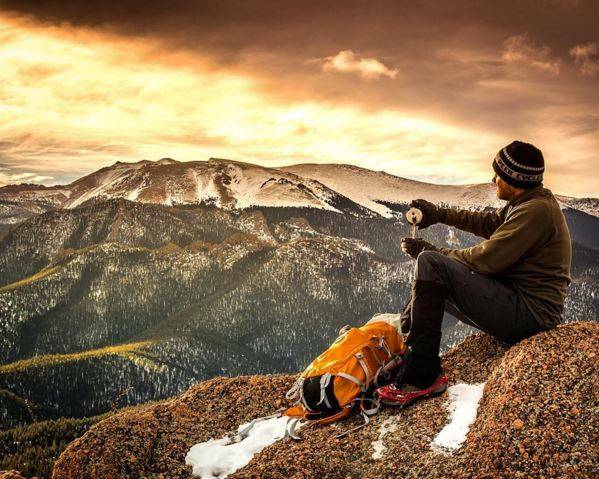 Often affectionately referred to as “Mount Baldy,” it is the second-highest peak in the region’s skyline and offers great views of Pikes Peak, Mount Rosa and Cheyenne Mountain. One of the most accessible mountains in town, the hike to the top is 3.5 miles. Many area adventurists take advantage of the trail and love the remarkable views of Rampart Reservoir and Colorado Springs from the top. Monument, just north of Colorado Springs, is a historic town with a short but fairly steep hike to the top of Mount Herman. Climb 2.2 miles to the top to see Palmer Lake and the U.S. Air Force Academy. Red Mountain is in Manitou Springs, a charming town west of Colorado Springs. A short hike up this mountain offers views of the town below as well as glimpses of Williams Canyon and the popular Manitou Incline Trail. The mountain was a favorite hike of Emma Crawford. Buried at the summit in 1891, her coffin washed down the mountain with torrential rains, inspiring the town’s annual Emma Crawford Coffin Races held every October.